The University of Plymouth has continued its success in a prestigious international competition after two of its students won categories in the RSA Student Design Awards. Now in their 93rd year, the awards demonstrate the ways in which design thinking can benefit society and this year attracted over 800 entries from 21 countries. Among them were 3D Design student Aidan Postle, who won the £2,500 Philips Award for Breathe Easy, a consumer healthcare system and subscription service that tackles the issues caused by ambient air pollution through the application of citizen science. Fellow student Jemima Oliver won a placement at award-winning firm PRP with her idea Umbrella, an inclusive and interactive game designed to establish and foster intrinsic values of trust, collaboration and connectivity by revealing the importance of empowerment and integration within society. They were not the only students from the University to win praise from the judges, with fellow students Hollie Fox receiving a Commendation and Michael Stevens also making the finals. For the awards, briefs were issued around topics such as designing ways to increase mental agility in old age, ensuring mothers and children in emerging markets have the greatest chance of survival through pregnancy and birth, and designing new products or services from disused office furniture. Students were then encouraged to apply their skills for social good, and forge networks of creative individuals, partnerships between emerging designers and established industry giants that are leading the way in solving the world’s most critical problems. The winners receive either a cash prize or paid work placement with a sponsor, as well as fellowship to the Royal Society of Arts, and will be celebrated at a ceremony at the Royal Society of Arts’ headquarters in London. Breathe Easy uses three key strategies to not only reduce the potential risk of air pollution on the body but also decrease the amount of contamination in the air and address people’s mindsets around the impact of pollution. Umbrella is an inclusive and interactive game designed to establish a holistic mindset and nurture a resilient community by revealing the importance of empowerment and integration within society through promoting trust, collaboration and connection. 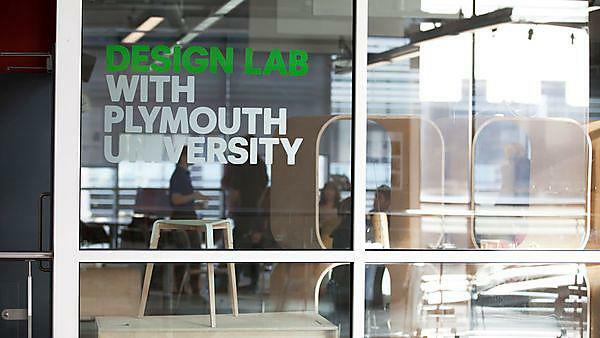 Work alongside a team of established designers and experienced educators. With achievements that include international awards, research papers, public exhibitions and experience working for major clients, our design team helps you to gain hands-on experience and understanding of design from both an industry and an academic perspective. Personal and group tutorials go hand in hand with lectures on careers, portfolio surgeries, business advice, overseas exchange, frequent public exhibitions, and 'Dragons Den' style business games such as FLUX. Immerse yourself in a celebration of highly creative talent and enterprise; the culmination of study and practice at Plymouth University. This fantastic exhibition of work from final year students covers a wide spectrum of our arts courses.